More patients are vision-impaired than ever before; new study suggests how countries can lessen the health burden and improve lives. 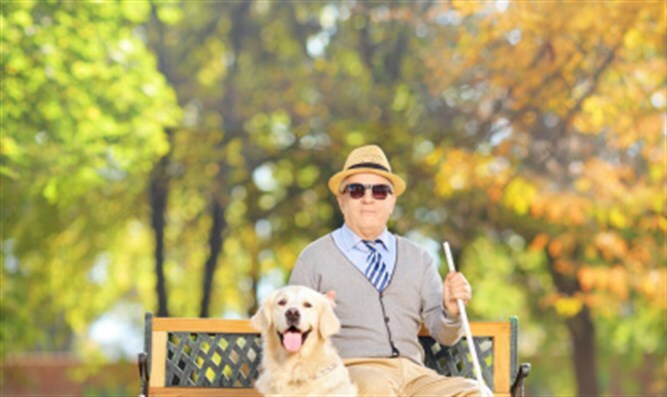 Researchers from England's Anglia Ruskin University published a study showing that the number of blind people globally will triple by 2050, but governments will not contribute significantly more to treatments. According to a study published Thursday in the Lancet Global Health, in 2015, there were 36 million blind people in the world. However, due to population growth and aging, this number is expected to triple by 2050, lead author Professor Rupert Bourne said. "If governments invest now in developing new treatments, the increase may be tempered," the authors suggested. Data from over 188 countries showed that 217 million people were affected by moderate to severe visual impairment in 2015. This number is 35% higher than in 1990, and is expected to rise to 588 million in 2050, the study explained. "Even mild visual impairment can significantly impact a person's life," Bourne explained. "For example, reducing their independence... as it often means people are barred from driving." He also noted that mild or severe blindness impairs a person's education and financial abilities. The highest rates of blindness were found in southeast Asia and sub-Saharan Africa. According to Bourne, the main reason for this is poverty and insufficient medical treatment Doctors and nurses in these areas need to be trained to deliver proper eye care and treatment, he said. Suggested steps include investment in treatments such as cataract surgery, and ensuring people have access to appropriate vision-correcting glasses. "They are cheap, require little infrastructure and countries recover their costs as people enter back into the workforce," he said.